Google Assistant ~ Display Shipping Info? Discussion in 'Android Applications Discussions' started by Sajo, Sep 11, 2018. Here's a question for my fellow tech-heads. This question is related to newer phones running the Google Assistant, not Google Now. With my Z Force, and all former phones running Google Now since 2013, Google Now would show a Shipping Info / Order Status "card" if the shipping info was in a G Mail message. It worked beautifully & simply. Swipe open Google Now and cards were automatically displayed with shipping info (as long as the "Order Has Shipped... email was a G mail message). It just plain worked great, for many years. Now that new phones run Google Assistant out-of-the-box I cannot get Assistant to show any Shipping / Order Status "cards". I have read every recommendation on the Google Support Forums; they all say that if the e-mail is in your G Mail Inbox it "should work" just like Google Now. I have spent hours adjusting my Google app settings and no luck. I currently have 4 "Your Order Has Shipped.." messages in my G Mail Inbox and Assistant doesn't show anything related to Orders or shipping. If I ask Assistant to 'track my packages' it just opens a search page with links to USPS, UPS, FedEx, etc. 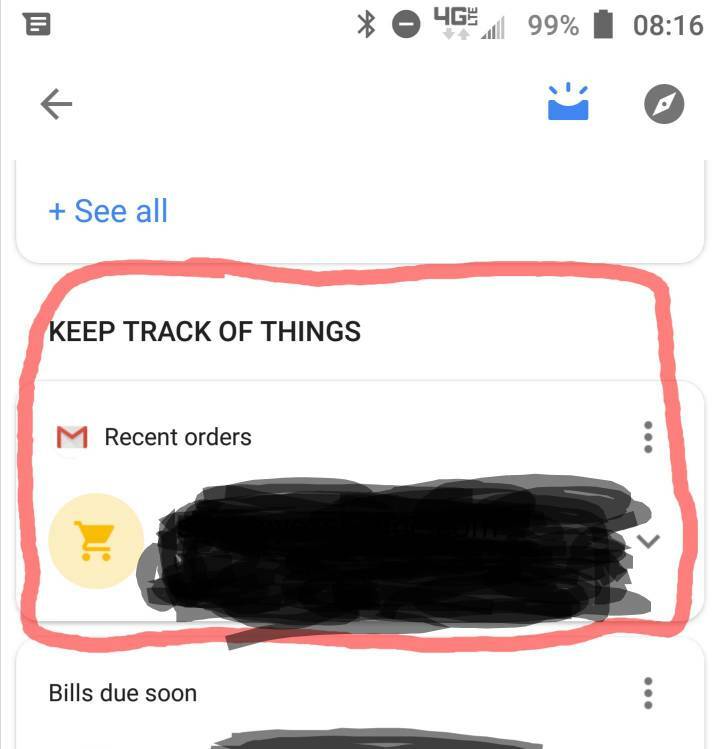 Has anyone running a phone with Assistant found a way to make Assistant show Shipping / Order Status cards with tracking info the way Google Now did? My shipments don't like being tracked, especially if they are over a Kilo. Got to love a useless, inane post. I think it's one of those things that Google Now did very well and just hasn't been fully incorporated into Assistant; but the Google Support team doesn't seem to realize that. I have had the same question posted on the official Google Assistant support forum for a few weeks now and have not received any answers. So that leads me to believe that this is one of those things that they just didn't think to work into Assistant. It's a shame, it worked great in Google Now. It's not the end of the world, it's not overly- complicated to open an email and manually check tracking info. But it sure was convenient to have it all displayed & grouped nicely in Google Now, one swipe over to GN and there was all associated tracking info. Maybe they will add the Feed option for "Apps & Websites" into Assistant someday? That's the Feed card that displayed shipping / tracking info. I have seen this in Assistant but not in a few months, I think it's broken. So it looks like the new Google app update added the Keep Track Of Shipping card back in. But.....it doesn't do anything. LOL. None of the click options do anything. Maybe it's progress? Or a fluke? Let's get this Assistant thing figured out Google.